A new study shows that so-called "light" cigarettes have no health benefits to smokers and have likely contributed to the rise of a certain form of lung cancer that occurs deep in the lungs. For this new study, researchers at The Ohio State University Comprehensive Cancer Center - Arthur G. James Cancer Hospital and Richard J. Solove Research Institute (OSUCCC - James) and five other universities/cancer centers examined why the most common type of lung cancer, called adenocarcinoma, has increased over the last 50 years, rather than decreasing as smokers have been able to quit. Other types of lung cancer have been decreasing in relationship to fewer people smoking, but not lung adenocarcinoma. Because of this, lung adenocarcinoma is now the most common type of lung cancer. "This was done to fool smokers and the public health community into thinking that they actually were safer," says Peter Shields, MD, deputy director of the OSUCCC - James and a lung medical oncologist. "Our data suggests a clear relationship between the addition of ventilation holes to cigarettes and increasing rates of lung adenocarcinoma seen over the past 20 years. 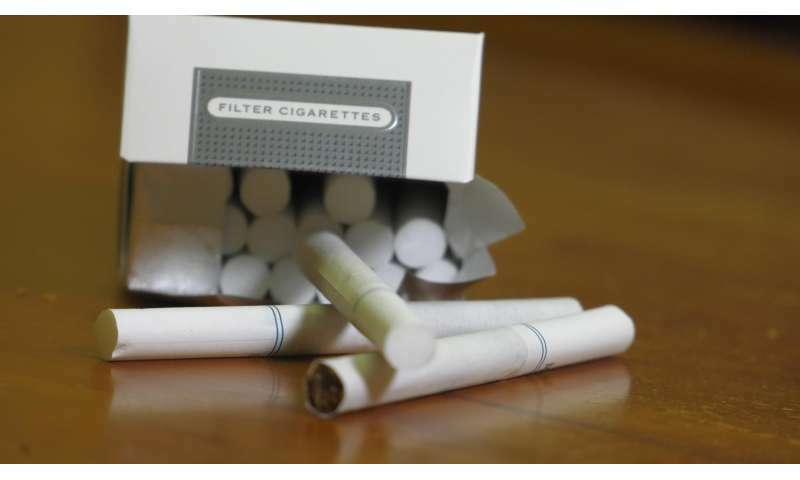 What is especially concerning is that these holes are still added to virtually all cigarettes that are smoked today." The U.S. Food and Drug Administration (FDA) was given the authority to regulate the manufacture, distribution and marketing of tobacco products through the Family Smoking Prevention and Tobacco Control Act in 2009. Current regulations ban tobacco companies from labeling and marketing cigarettes as "low tar" or "light." Study authors, however, say that given this new data, the FDA should take immediate action to regulate the use of the ventilation holes, up to and including a complete ban of the holes. "The FDA has a public health obligation to take immediate regulatory action to eliminate the use of ventilation holes on cigarettes," adds Shields. "It is a somewhat complicated process to enact such regulations, but there is more than enough data to start the process. We believe that such an action would drive down the use and toxicity of conventional cigarettes, and drive smokers to either quit or use less harmful products. There are some open questions about unintended consequences for enacting a ban, which provides for an important research agenda." 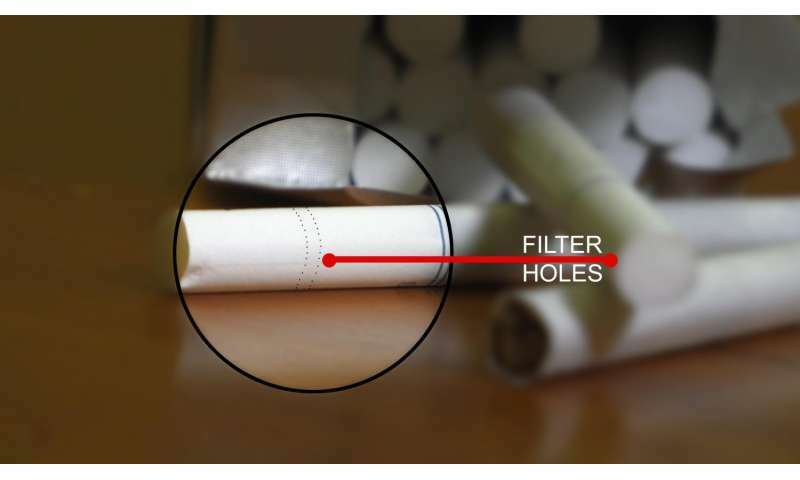 "The filter ventilation holes change how the tobacco is burned, producing more carcinogens, which then also allows the smoke to reach the deeper parts of the lung where adenocarcinomas more frequently occur," explains Shields. To date, all the scientific evidence involves the adverse impact of adding ventilation, but not removing it. Additional research is needed to confirm that the addictiveness of the cigarette or toxic exposures from cigarettes would not increase with elimination of the ventilation holes. The OSUCCC - James and researchers at the University of Minnesota, Roswell Park Cancer Institute, Virginia Tech, Harvard University and Medical University of South Carolina are conducting additional research to reconcile human biomarkers studies and smoke distribution/exposure in the lung.